lio! There’s a blast from the past!). I clicked on the article and smiled to mayself as I read about how he had taken the students to the supermarket before cooking a meal for them, but my smile faded when I got to this line: “The 50-year-old hip-hop star had been performing at Macs Bar in Preston when he met the students and offered to cook them a meal.” Coolio is 50?? What? How? Okay, 50 isn’t actually all that old (my mother is 50 and I don’t see her as old), but in my mind, the stars of my childhood are frozen at the age they were then. It’s only when the facts are forcibly thrust in my face that I remember famous people are subject to the passing of time just as much as any of us. 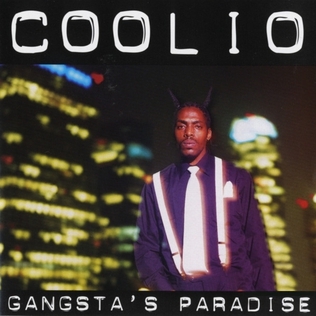 Gangsta’s Paradise came out in 18 years ago(!!) in 1995, so it’s logical that Coolio would be in his 50s by now, but still… I suddenly feel old! Seth Green is 39 (born 8 February 1974) – But he’s Oz from Buffy. Oz can’t be coming up to 40! Ralph Macchio is 50 (born 4 November 1962) – The Karate Kid is turning 51 next month? What?! Sean Connery is 83 (born 25 August 1930) – Wait… Sean Connery is nearly as old as my grandma?! Cyndi Lauper is 60 (born 22 June 1953) – Girls Just Wanna Have Fun was like my childhood anthem. How can its singer by 60?! Robin Williams is 62 (born 21 July 1951) – Peter Pan is 62?! Steven Tyler is 65 (born 26 March 1948) – I know Aerosmith have been around for a while and it’s kind of logical that its members would be getting on a bit, but for some reason it never occurred to me that Steven Tyler would be in his late 60s by now! Mike Myers is 50 (born 25 May 1963) – Also, the first Austin Powers film came out 16 years ago!! Michael Caine is 80 (born 14 March 1933) – If you’d asked me to guess how old he is now, I would never have said 80! Mel Gibson is 57 (born 3 January 1956) – For some reason, I always picture Mel Gibson as young-ish (like in his 40s). I’m having trouble thinking of him as being only a couple of years from 60! OK, enough. I don’t want to depress myself 😉 But do feel free to add more in the comments. I was reading this article on BBC news today. It’s about the children’s TV programme Grange Hill. The last ever episode was broadcast just a few weeks ago, apparantly.